Surrounded by picturesque waterways on an island of its own lies Colombo’s latest authentic Sri Lankan restaurant “Thuna Paha” by Waters Edge. Embodying the uniqueness of a blend of cinnamon, cardamom, cumin and caraway that becomes the “super spice” that is the staple of most Sri Lankan dishes “Thuna Paha”. Pork seasoned with dark roasted curry powder, tamarind paste and cooked in a special spice infused curry. Sliced Pork seasoned with local spices and tempered in ground mustard, vinegar, turmeric and stewed. Fresh Lagoon Prawns cooked in red coconut infused curry with drumstick leaves. Fresh Crab marinated in special local spices, cooked with drumstick leaves. Fresh Crab dipped in a special coating and cooked in a homemade chilli sauce. 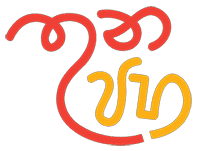 organic ingredients prepared to aromatic curries together with local favorites in a serene ambiance makes Thuna Paha a popular destination for Sri Lankan Food fix. We gladly accept reservations for dining at Thuna Paha via email or through our reservations line.